The MENA (Middle East and North Africa) region's economy is experiencing steady growth and is expanding as an active participant in investments with Europe, the Americas, and Asia. Complex deals by transnational corporations (TNCs) and small- and medium-sized enterprises (SMEs) serve to influence European and MENA businesses, government, technology, and society. 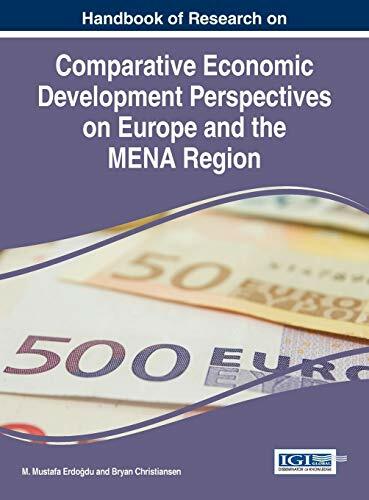 The Handbook of Research on Comparative Economic Perspectives on Europe and the MENA Region provides scholarly information about European and MENA economies at a time when these regions are becoming increasingly connected. The need to understand their economies has never been more necessary, and the research-based chapters of this book, covering a wide array of information regarding corruption and reform, ethics and society, and the effects of Western cultures, provide scholars, business executives, practitioners, and students with current information on the region's lucrative investments and fast-growing economy. <strong>M. Mustafa Erdo?du</strong>, Marmara University, Turkey.<br /><br /><strong>Bryan Christiansen</strong>, PryMarke LLC, USA.